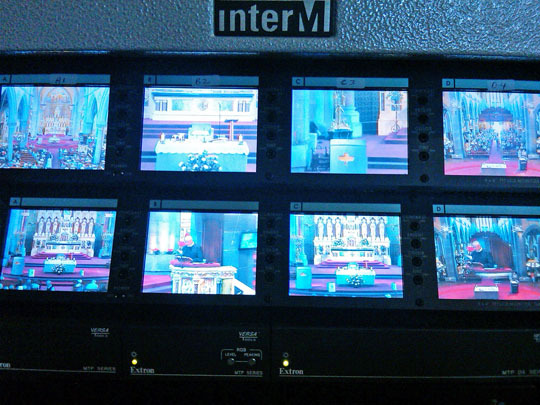 Yesterday I had "the box" duty, which meant I was hearing confessions before and after two of the 10 Masses. At one point, I had a lull and I could see out my door into the pews. A young man, around 20, had just arrived. He was alone and wearing a designer shirt. The cantor was prepping the congregation for Mass with songs, and I saw him obey her and pick up his novena booklet and turn to the song she began singing. I saw him following along to "Christ Be My Light," and it made me feel hopeful for the Irish church and young Catholics around the world. I continue to meet wonderful support staff like Sebastian and Garrett, two German students connected to Redemptorists in their homeland. Instead of mandatory military service, an option is to volunteer in a social project. The Blessed Sarnelli Community (a ministry to the homeless in Philadelphia run by Redemptorists from the Baltimore Province) has long been recipient of young men from Deutschland; two are currently there. The two here in Limerick take turns working the Internet cameras and parking cars. (Pictured at right: the Web cam control center.) Their English is perfect and they work long hours assisting this Novena as part of a year’s service. 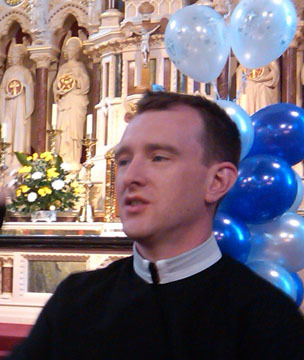 The most recent Redemptorist in vows in Ireland is Frater Brian Kelly (pictured at left). He came to the Redemptorists primarily through a program called SERVE, which pairs young adults with Redemptorist missions for a six-week experience to countries such as India, Mozambique, South Africa, Thailand, and Brazil. Depending on the local needs, these young adults experience missionary life, social work, and intercommunity development. 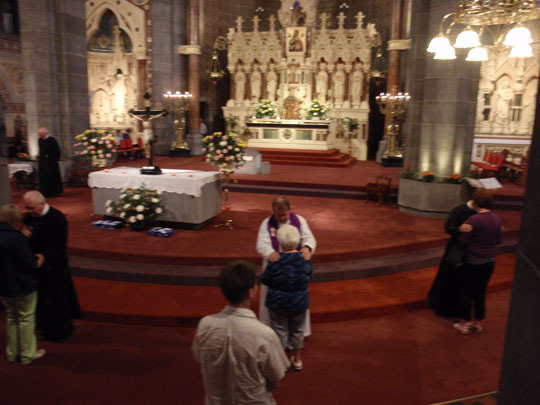 One of the quiet joys during the novena is getting to know the Redemptorists who are either stationed here in Limerick or who are here specifically for these nine days. Between Masses, there is time for tea and biscuits in an adjoining room in the "monastery" (as they refer to the rectory here). It was during one of these moments that I had a chance to speak with Father John Hanna (pictured at right). 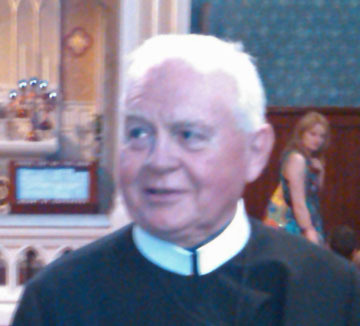 He spent his first 11 years as a Redemptorist priest on the missions in the Philippines. Like many of the Baltimore Province confreres who left for Paraguay, Brazil or the Caribbean, he knew not a word of the local language and despite his youth, was away at times for three-week jaunts high up in the villages where people would see a priest maybe once a year. He would remain 2-3 days and then move on after celebrating the sacraments. The jungle was his outhouse and falling lizards unwanted bed partners as they always stayed in humble but welcoming houses of people (there were no rectories). Father John is here to cantor some of Novena services and you could almost hear him sing this line: "One day when I was staying with an older couple, they said to me: ‘You Redemptorists must love us very much. You’ve learned our language.’"